Batman is famously known for his stealth and ability to go unseen. He must be quiet and subtle to succeed. 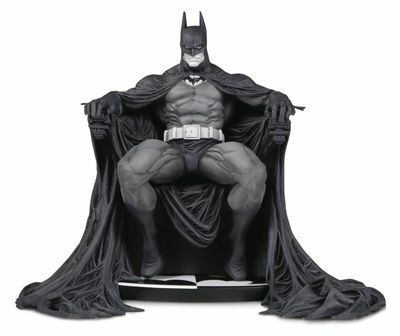 However, the latest statue in the BATMAN: BLACK & WHITE line is anything but reserved. 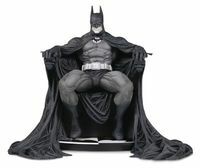 Sculpted from art by Marc Silvestri, this Batman is imposing and bold as he rests in a chair in the Batcave that feels almost thronelike. The polyresin statue captures the sinister detail of Silvestri's cape, which was drawn with an organic texture, providing an ethereal aura to this already striking piece. Legal Notice: Entire contents trademarked (® or TM) and copyrighted (©) 1986-2019 by Things From Another World, Inc. and respective copyright and trademark holders. All rights reserved. Page rendered at 2019-04-18 11:53:34 in 0.375 seconds.